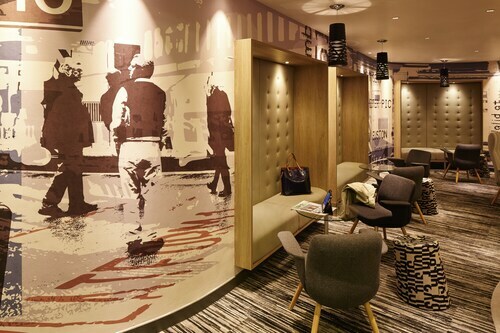 Set in a prime location of London, Ibis London Euston St Pancras puts everything the city has to offer just outside your doorstep. Offering a variety of facilities and services, the hotel provides all you need for a good night's sleep. Free Wi-Fi in all rooms, fax machine, photocopying, 24-hour front desk, facilities for disabled guests are just some of the facilities on offer. Guestrooms are fitted with all the amenities you need for a good night's sleep. In some of the rooms, guests can find television LCD/plasma screen, internet access – wireless, internet access – wireless (complimentary), air conditioning, desk. The hotel offers various recreational opportunities. 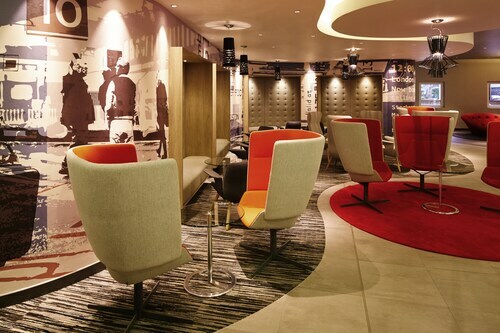 Friendly staff, great facilities and close proximity to all that London has to offer are three great reasons you should stay at Ibis London Euston St Pancras.